Below, is an attempt to address your concerns and answer most of your questions regarding the above topic. 1. People are not happy with the closure or the detour! 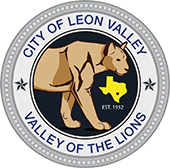 The City of Leon Valley understands that this road closure is inconvenient, irritating, frustrating, and very exasperating for persons that have to use this route daily, but this is not a project that could be put off any longer, due to the condition of the existing Huebner Creek low water crossing and the toll this is taking on city employees and equipment. If you are coming from Loop 410 and you don’t live in the area from Wurzbach to Seneca, try taking a left onto Wurzbach to Bandera – the road is faster and there are not as many stop signs as are on Seneca. If you are coming from Huebner towards Loop 410 and you don’t live in Canterfield or Grass Valley, try taking Huebner to Bandera – This is a congested area, but it still may be faster than trying to wait at the light at Poss and Bandera Road. 2. In the past three years, this crossing has been under water approximately 40-50 times. Huebner Creek in this area has a watershed of 9.5 square miles. The volume of water that rushes down is about 14,000 cubic feet per second (CFS). The current crossing can only handle 800 CFS. The rest of the water slams into the crossing, rises, and then overtops the roadway. It only takes 1.5 inches of rain for this low water crossing to become inundated. The most common rain event in Leon Valley? 1..5 inches. Along with the water comes literally tons of debris. This debris includes grass, tree limbs, tree trunks, lawn chairs, ice chests, Styrofoam cups, and miscellaneous other junk. When the larger debris hits the crossing, it covers over the 36” metal culverts and reduces the water flow even further, and sometimes completely. The debris also damages the concrete and the metal culverts. Last year, one of the traveling tree trunks got stuck and the force of the water caused it to rip away a huge hunk of metal on one of the culverts. This allowed the road base material behind the concrete to start eroding away. The culverts themselves are too small to let enough of the smaller debris through. The concrete blocks attached with rebar to the top of the crossing have been damaged so badly that some of them can be pushed around by hand! It is a legitimate fear that someday in the near future, a collapse or a sink hole would develop in the middle of the roadway from the missing road base material. In addition to the damage being done to the crossing, the time and effort of our Fire Department to monitor, close, and open the flood gates; and the time spent for the Public Works Crews to clean off the roadway and remove all the debris were adding up fast (23 flood events in the last year alone!). Fire Department personnel were extremely taxed, as they are typically responding to calls for accidents on days when it rains so hard that Huebner Creek floods. 3. What is going in to replace the one we have? The new crossing will be a bridge type structure that will allow about 5000 CFS to pass under the roadway. In addition, the ten new box culverts will be 10 foot by 6 foot, which is big enough to let all but the extremely large debris flow through. It will still not be high or large enough for a 100 year flood event, but this is due to the limitations on the real estate we have to work with. The library is on one side and a residential home is located on the other. We have to work within the space we have. 5. Why can’t the road be left partially open during construction? Because of the repositioning of the 24” gas line on the Canterfield side and the 8” gas line on the park side, the road has to be completely closed for about 4-5 months. Once the utilities are out of the way, the bridge construction will continue, but we will try to open up the road to two lane traffic. Please keep in mind that this is a bridge over a creek and the spring rains and potential flooding may delay the project for a week or two at a time. The construction should be complete by the end of August – again, weather permitting. In conclusion, when completed, the roadway will be safer, the bridge will remain open through most of our flood events (and will be much stronger! ), and our Firemen and Public Works employees won’t have to worry so much or spend so much time on closing and opening the road. As a bonus, the bridge itself will have an attractive rock veneer and decorative railings to compliment the park setting, will be lighted along its entire length, and will have wider sidewalks for our very active handicapped citizens. A new pedestrian crosswalk will be installed at the library, complete with roadway lighting. We can’t emphasize enough that this was an extremely urgent project, that this addresses the most common of our flooding events, and that we are truly sorry for this inconvenience. For questions about this project, please feel free to contact our Public Works Director Melinda Moritz, at (210) 681-1232 or by email at m.moritz@leonvalleytexas.gov. A depiction of the new bridge can be viewed on our website at www.leonvalleytexas.gov. Thank you for your patience and understanding while we try to make this a safer roadway.